One of the biggest and most profitable segments of the water business is the bottled water delivery business. 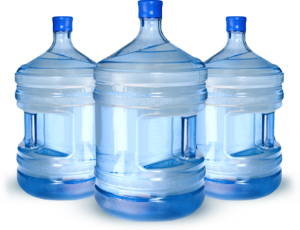 The three and five gallon bottled water business is in very high demand in many cities worldwide. There are some very good reasons for people to buy water this way among them it is the greenest way to provide bottled water are the bottle can be reused many times, this also keeps the cost lower than a throw away bottle. Many people will start this as a small business and grow it larger as the demand increases. To get a better idea of the business there are many considerations. Will the people in the area pay the extra for delivery? Is the population larger enough to make for a good business? Would this business be done with a water store too? What would you charge for the water delivery? How large do you want to start? The delivery of three and five gallon water is business that can be started out and small and grow into a much larger business at a low start-up cost. By starting small this is a business that can be started for under $30,000.00 that would include all the equipment and setting up of the equipment. You would also need the building and delivery truck or van. You can actually make a nice living with a business of this size doing a one person operation. This could be done in a small area of under 1,000 sq. ft. but would be limited in the growth due to size.